On Arrival at Colombo International airport you will be welcomed by our representative/Chauffer guide/National Guide. Upon completion of arrival formalities leave for your chosen hotel at Colombo. After breakfast proceed journey to Ratnapura. ACTIVITIES : Visit Gem mining pit on availability. Visit Gem museum in the evening only if time permits. A pre dawn start to reach Sinharaja with picnic breakfast and lunch. After breakfast proceed journey to Udawalawe National Park. After breakfast proceed journey to Madunagala. After breakfast proceed journey to Bundala National Park. After breakfast proceed to Yala National Park. After breakfast proceed journey to Kataragama. After breakfast proceed journey to Nuwara Eliya via Ella gap. ACTIVITIES : Visit Rawana Ella water falls. City tour of Nuwara Eliya in the evening. After breakfast trekking in Horton Plains. ACTIVITIES : Trekking in Horton Plains National Park . After breakfast proceed journey to Kandy. After breakfast proceed for a hiking tour in Knuckles range. After breakfast proceed journey to Pinnawala via Kandy. After breakfast proceed journey to Peradeniya to visit Royal botanical gardens. After breakfast proceed journey to Dambana. After breakfast proceed to activities with veddah people during morning hours. After breakfast proceed journey to Kalpitiya. Breakfast & relax at the beach. After breakfast relax at the the beach. Leisure, After breakfast relax at the the beach. After breakfast relax at the beach. After breakfast proceed journey to Negombo. Short city tour of Negombo. ACTIVITIES : Short city tour of Negombo. Relax at the beach. ACTIVITIES : Departure transfer to the airport. THINGS TO NOTE: End of the tour and the services. Accommodation for 23 nights and 24 days as stated in the itinerary in standard rooms on double sharing basis. Alternate accommodation will be offered if there are no rooms available. If so, costs may be higher. Meals with breakfast only at hotel accommodation. Tented accommodation is with full board basis which is starting from the lunch and ending with the breakfast. Arrival transfer and departure transfer to the hotel from and to the airport. Transport in air-conditioned vehicle with an English speaking licensed driver guide up to 06 pax. An English speaking National Guide will be provided for the groups of 07 pax or more. Entrance fees to all the National Parks and jeep hire charges. All currently applicable taxes and service charges. 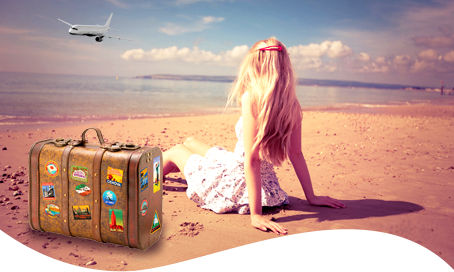 International air-fare, airport tax or any kind of insurance cover unless mentioned under ‘Prices Include’. Kandy pageant supplement at Hotel Casamara, Cinnamon Citadel Hotel and Earl’s Regency Hotel. Kandy pageant ticket fee to see the pageant. Any other meals than those mentioned in the itinerary (all lunches and dinners at hotel accommodations are excluded ). Diving charges at Kalpitiya which will be charged as mentioned separately. Entrance fee to the mentioned sights; per person prices have indicated separately. Early check ins and late check outs unless mentioned. Any other item/meal not specifically mentioned above as ‘INCLUDED’.